Daniel Libeskind and Lasvit, Studio Design UK, OIKOS, NBBJ, Mette, El Ultimo Grito, vPPR Architects and Thomas.Matthews create inspiring, thought-provoking content for 100% Design’s 20th edition. 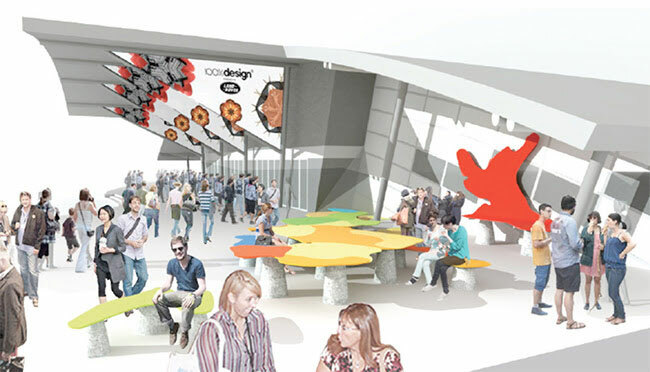 The four key industry hubs of 100% Design have their own sector-specific features. For Workplace, architecture practice NBBJ will present iAlter, which aims to highlight the multi-disciplinary nature of workplace, as well as the social importance of the modern office environment. For Kitchens & Bathrooms, vPPR Architects will create Foam Dome, sponsored by Turkishceramics. This will use white lather to reference luxurious bubble baths and indulgent purifying spa experiences. Meanwhile, the Eco, Design & Build section will feature Materials Landscape curated by SCIN, a concept designed by Thomas.Matthews that encourages visitors to engage in texture, colour and properties of new materials. 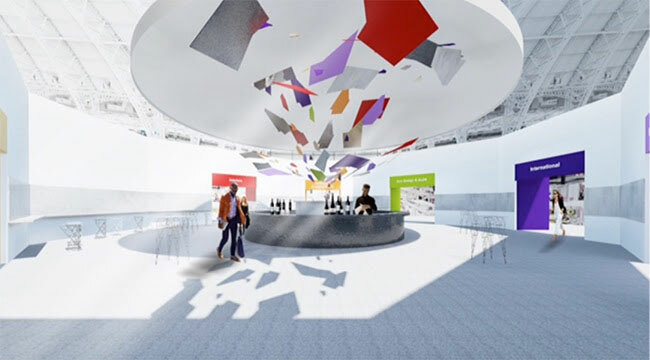 For Interiors, multidisciplinary studio Mette will create the Maker Carousel. This will highlight the designer maker’s ability to prototype and produce in a fun and interactive space. This year’s Talks with 100% Design programme will be housed in the stunning auditorium designed by the multi-talented El Ultimo Grito. Each of the hanging installations will rotate and act as a screen for the ongoing talks. 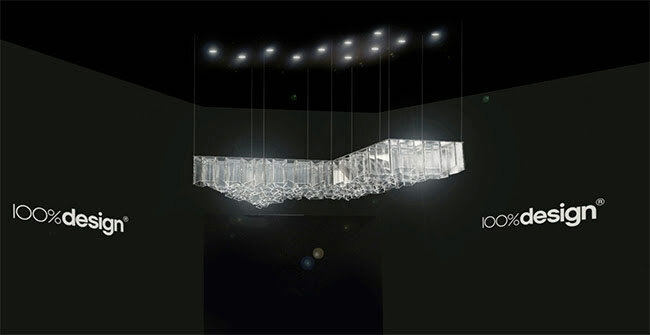 The 100% Design 2014 experience begins at the entrance to Earls Court where Czech glass manufacturer Lasvit – in conjunction with Libeskind – will present Ice, an intriguingly dramatic chandelier. Ice is made up of clear glass cells that cluster together in a series of puzzle-like, triangular patterns, which capture light, refracting it into exquisite prisms. From there, visitors enter the tunnel, an element which has become synonymous with the success of 100% Design in the last few years. Designed by creative consultancy Studio Design UK, the tunnel features fifteen arches and is intended as a visual representation of Design Kaleidoscope, the overall theme of the event. Here, a mirrored surface within the tunnel reflects a series of products that are demonstrative of the breadth of designs at the show. The central bar area, the social focal point of the event, is sponsored this year by surface finishing company OIKOS. To mark the occasion, Studio Design UK – in conjunction with OIKOS – is creating a site-specific structure of triangular shapes beautifully merged into a spiral. This will present visitors with the perfect opportunity to experience OIKOS’ playful approach to mixing light and materials. 100% Design has also commissioned the Design Kaleidoscope exhibition, curated by design writer and lecturer Gareth Williams. This will feature twenty product highlights from 100% Design’s history to celebrate the event’s twentieth anniversary year. The display is organised into five groups of works spanning the two decades. 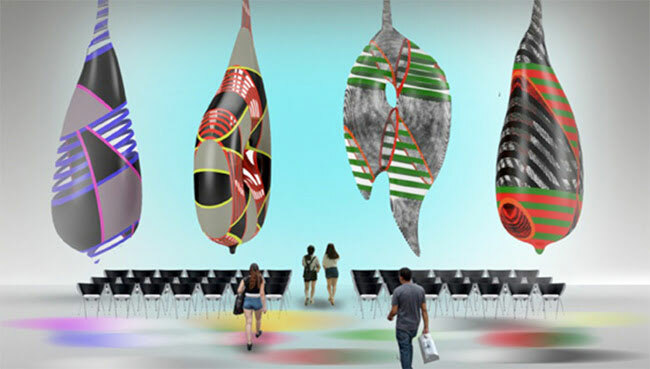 The objects will be shown in mirrored booths to again create a kaleidoscopic effect. This layout is created by the overall show designers Thomas.Matthews who is also responsible for the show’s lead creative this year. This element provides a visual of who’s who in contemporary design from 1995 to the present day. The Stories Lounge can also be found in Interiors and is another key feature. It will tap into a vast source of anecdotes, memories and images from 100% Design’s history. It is a place where designers and visitors can share their personal stories from down the years. Continuing the celebrations, Barbara Chandler, Evening Standard’s design correspondent and leading industry figure, has taken a series of portraits of designers who have exhibited at 100% Design during the last two decades. This will create a unique photographic timeline, which will be displayed in a dedicated gallery space within the show. The 100% Design visitor journey also extends to outside. CRAB Studio, set up in 2006 by Sir Peter Cook and Gavin Robotham, will create an installation using their original designs for workplace furniture. 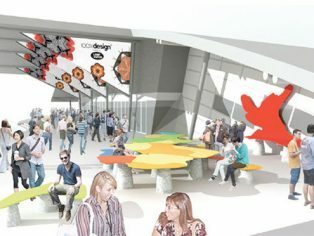 Entitled Welcoming Islands, the feature will provide a unique, social environment to encourage serendipity and dialogue – a space for visitors to sit back, look and absorb. As well as being the biggest design event in the UK, this series of features consolidates 100% Design’s position as the arbiter of leading-edge architecture and design.